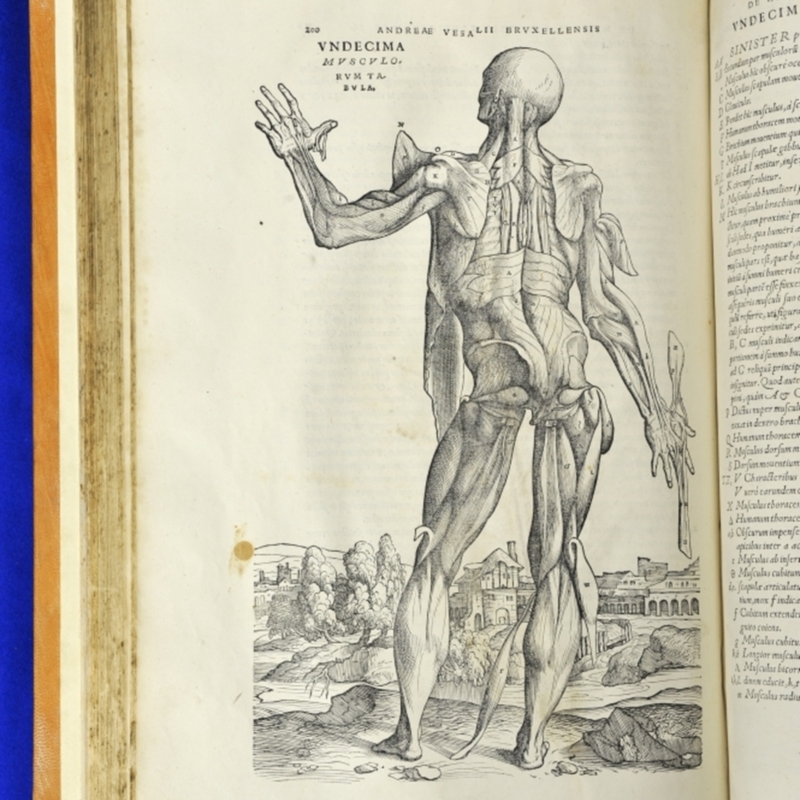 Andreas Vesalius was born in 1514 in Brussels, Belgium. 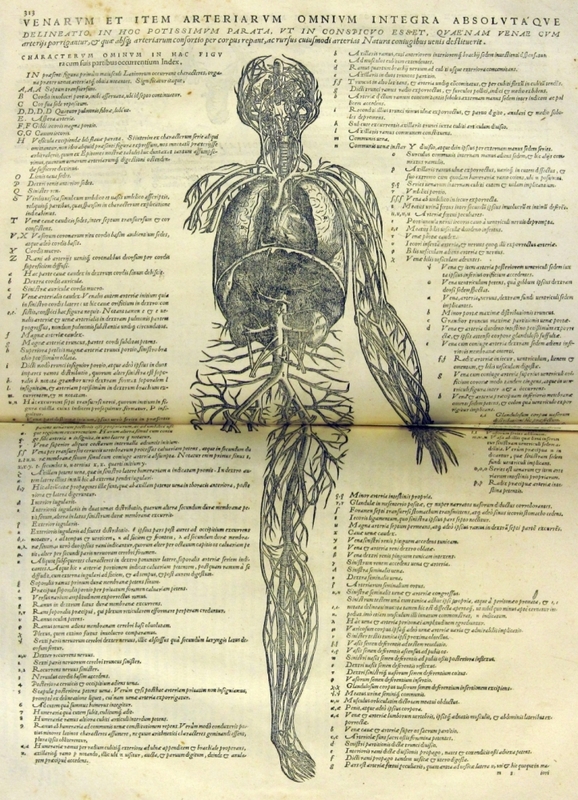 He studied medicine at the University of Louvain and then in Paris. 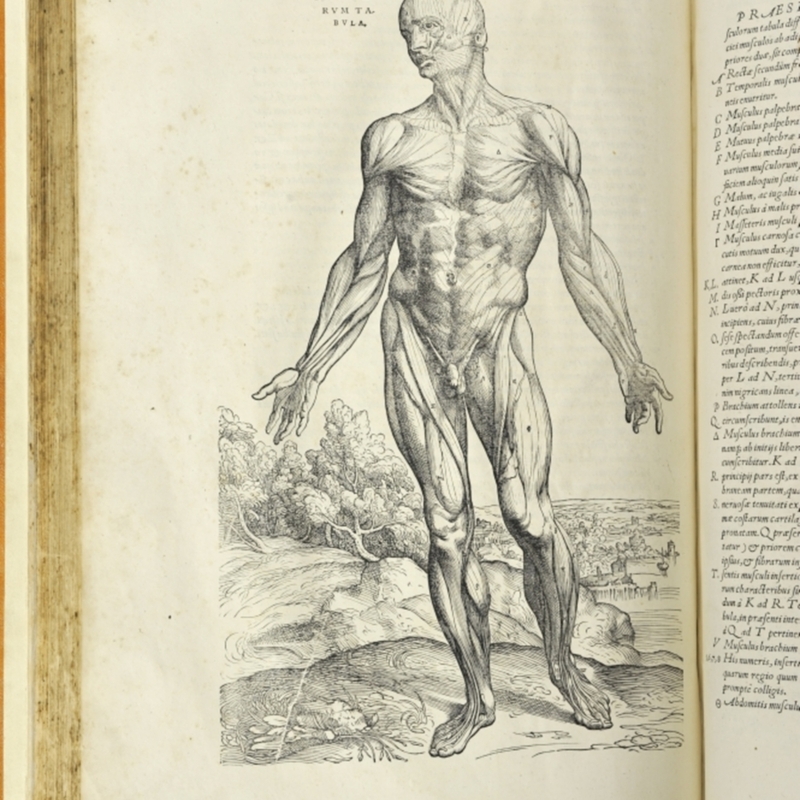 He moved to Padua, home at the time to one of the most important medical schools in Europe. 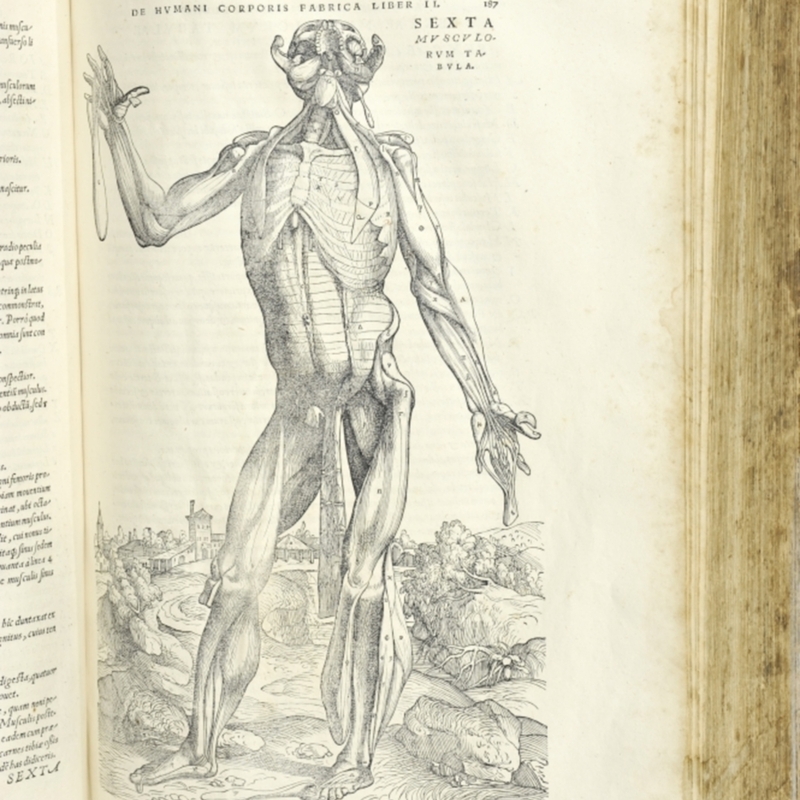 He completed his doctorate and was appointed as anatomical demonstrator and lectured on anatomy. Vesalius emphasised the importance of dissection in the study of anatomy. 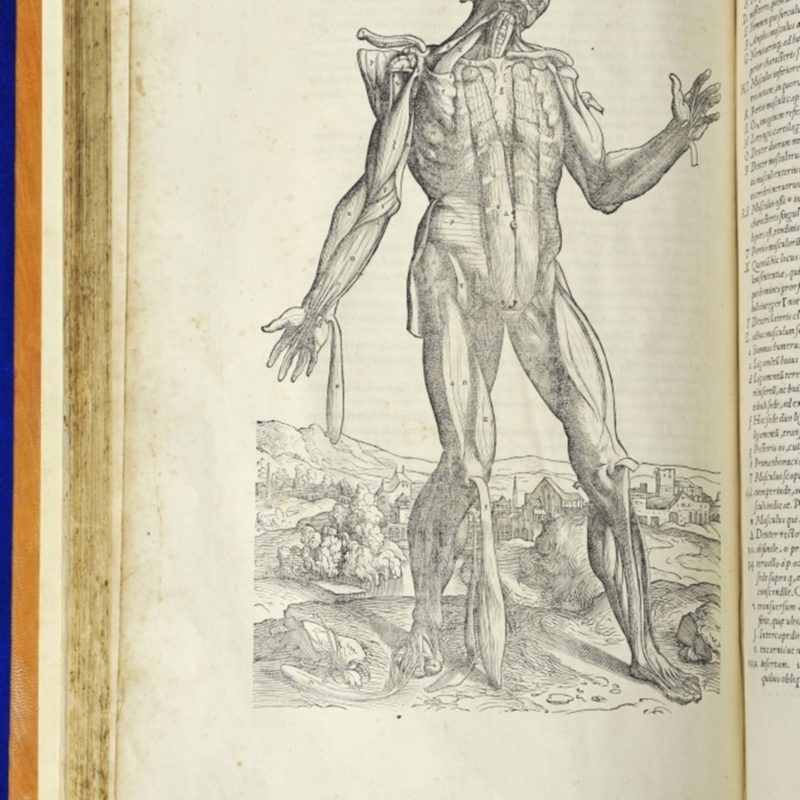 The 'De Humani Corporis Fabrica' (On the Fabric of the Human Body), published in Basel in 1543, was a beautifully illustrated and influential anatomical textbook. 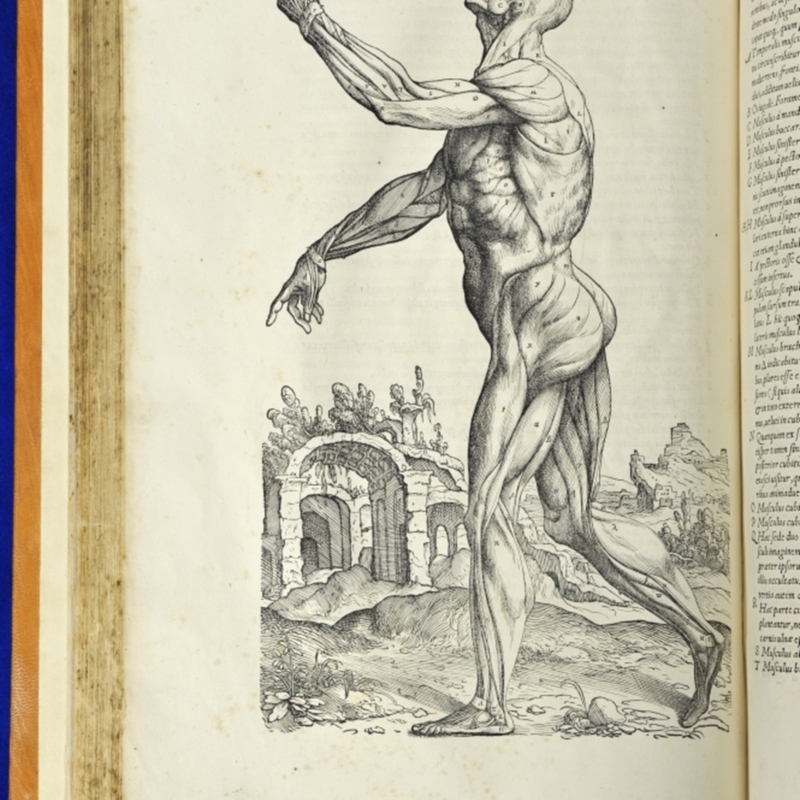 One of the most striking features of the illustrations are the 'muscle men' figures in striking poses surrounded by landscape. 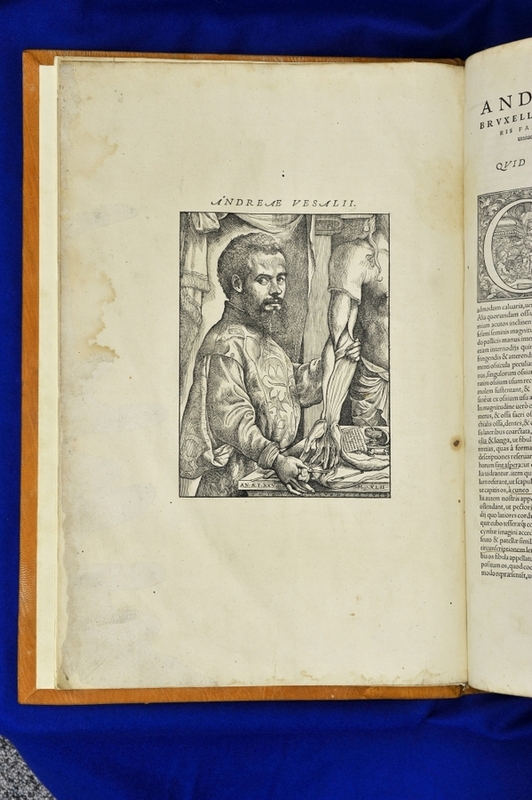 After publication of the book, Vesalius was appointed Imperial Physician to Emperor Charles V. He died in 1564. 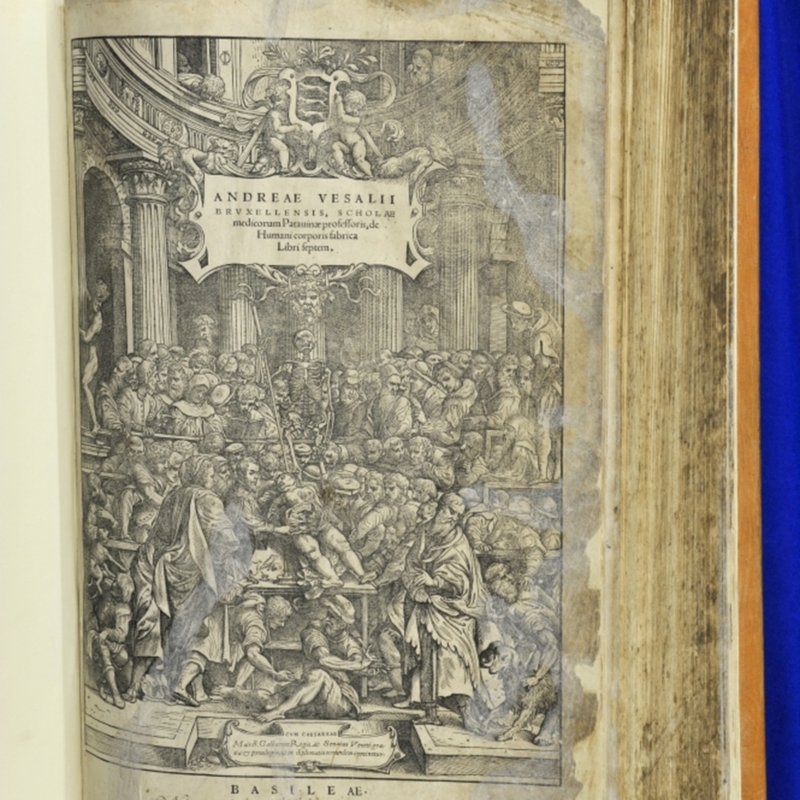 Formerly owned by the Lutheran theologian Paul Eber (1511-69). 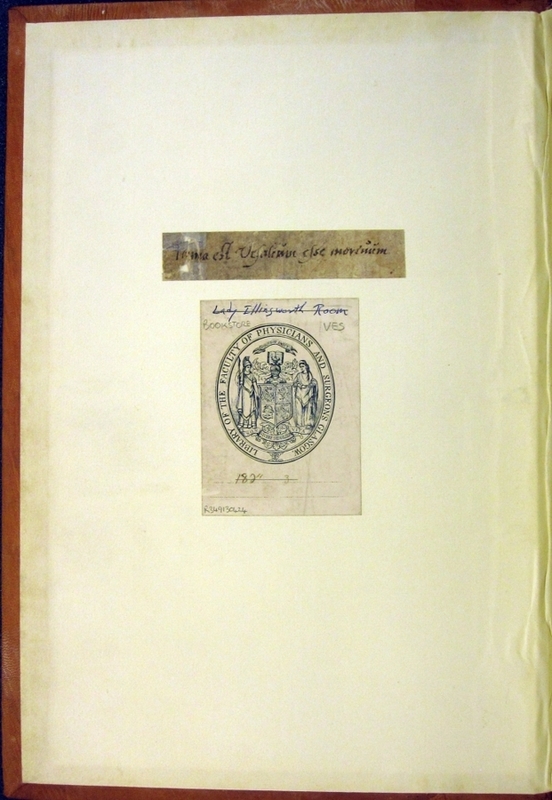 Blind-stamped initials "P E" on front cover, and various annotations in Eber's hand throughout. 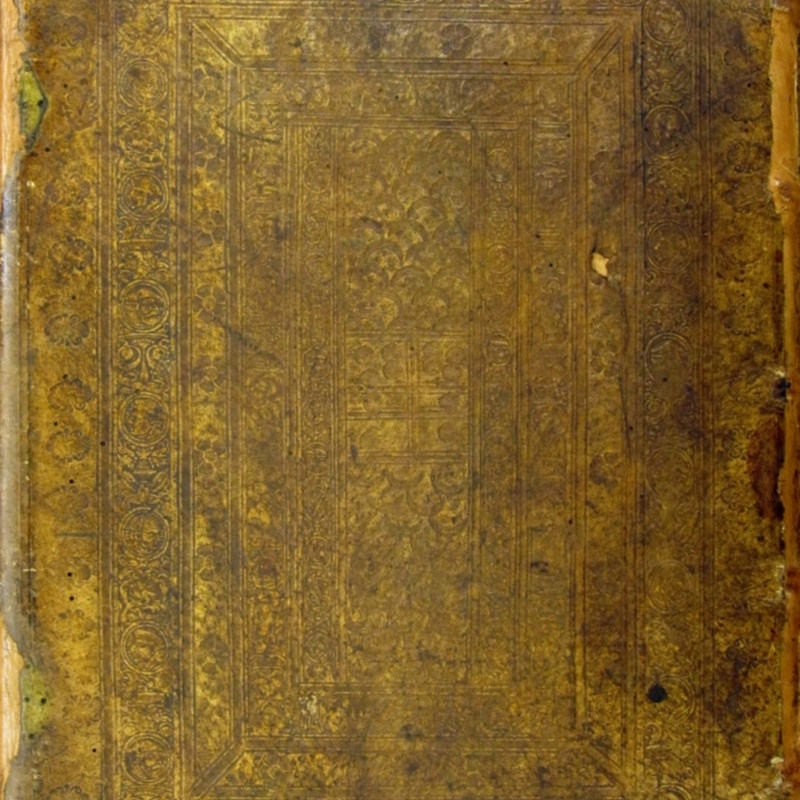 Originally bound in pigskin by the 16th century Wittenberg bookbinder Conrad Neidel, with blind-stamped decorations (including a roll of portraits of Erasmus, Melanchthon, Martin Luther, and Hans Holbein the Younger). 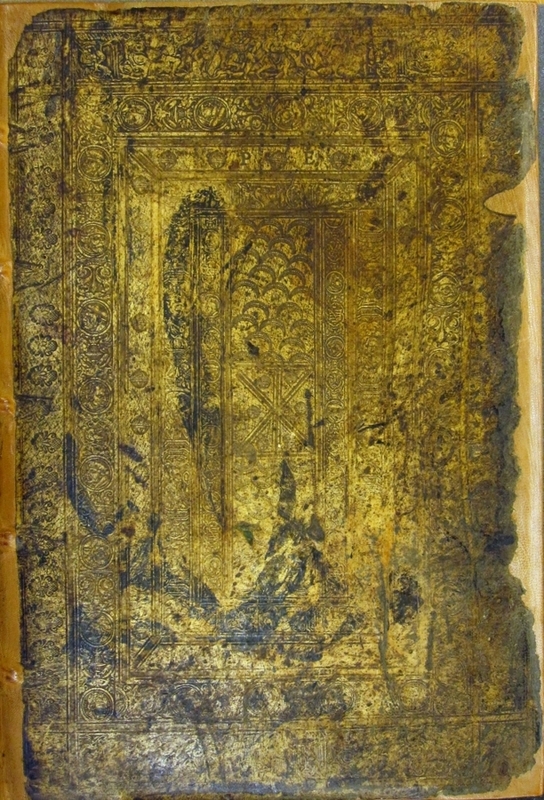 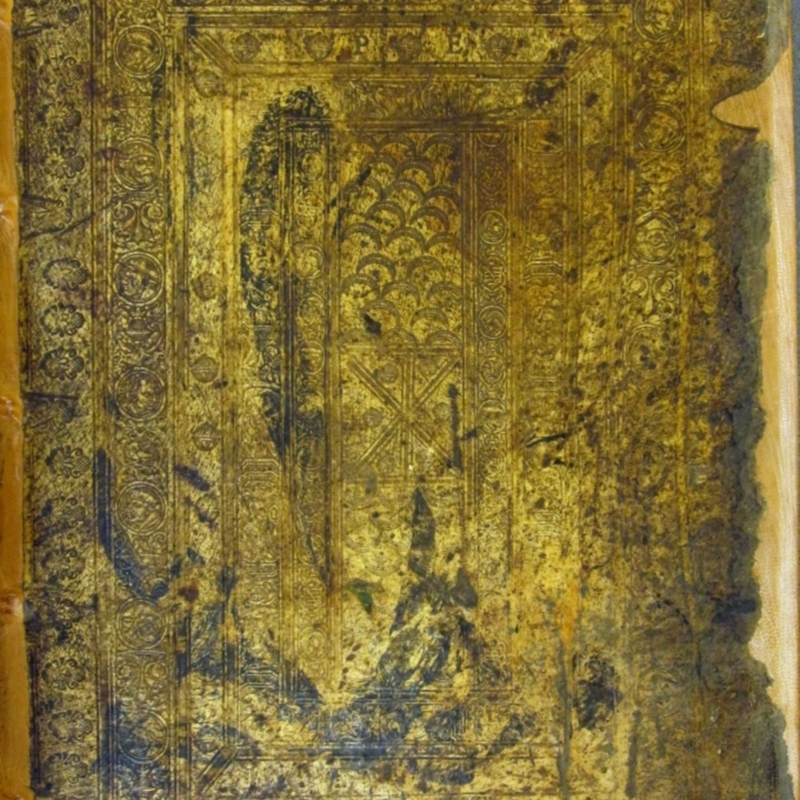 The front, back and spine were removed in the mid-20th century and pasted to a new binding Niger goatskin. 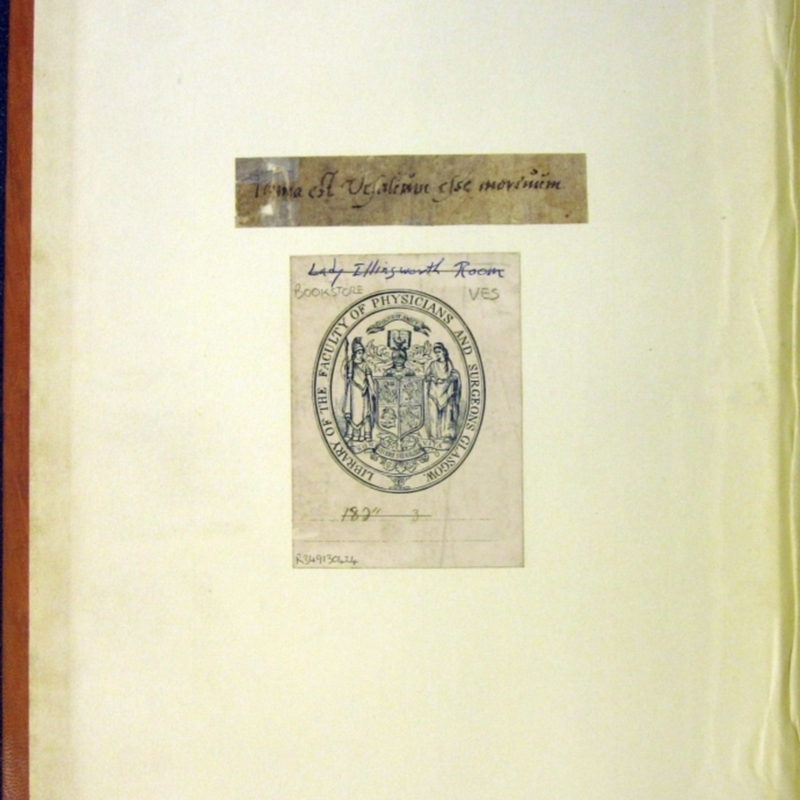 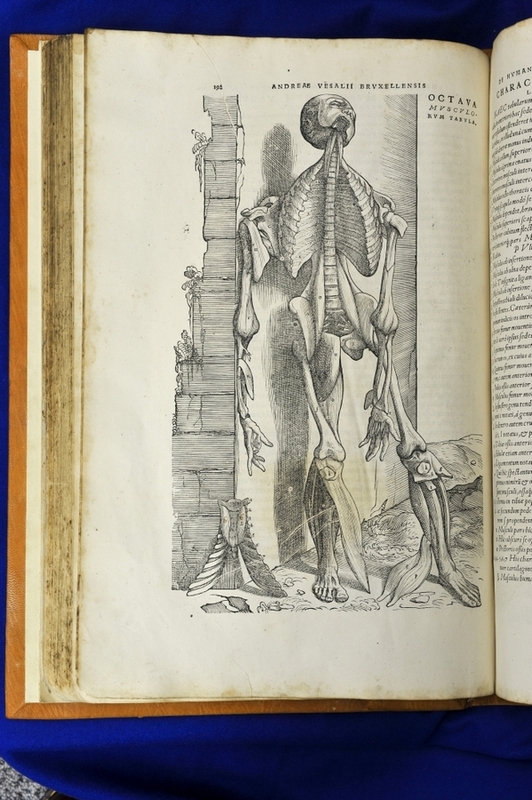 Inscription excised from original endpapers and pasted to front pastedown: "Fama est Vesalium esse mortuum". 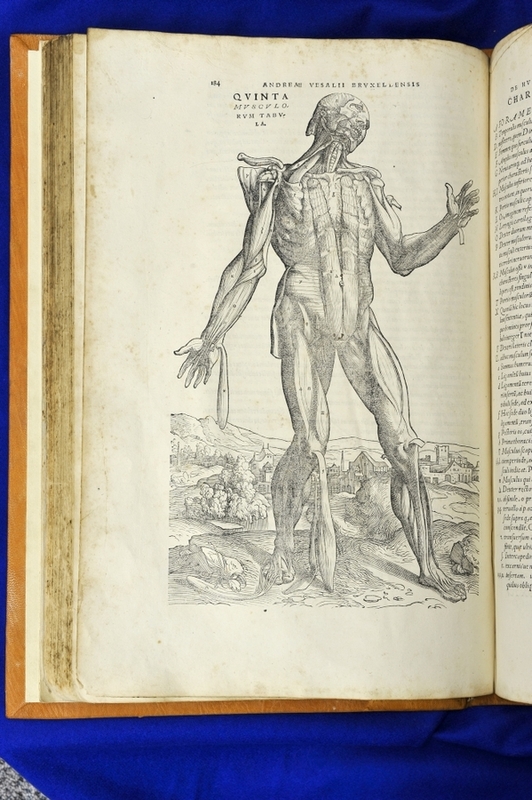 This is a quote from a 1565 letter from Hubert Languet to Caspar Peucer, informing the latter of the death of Vesalius. 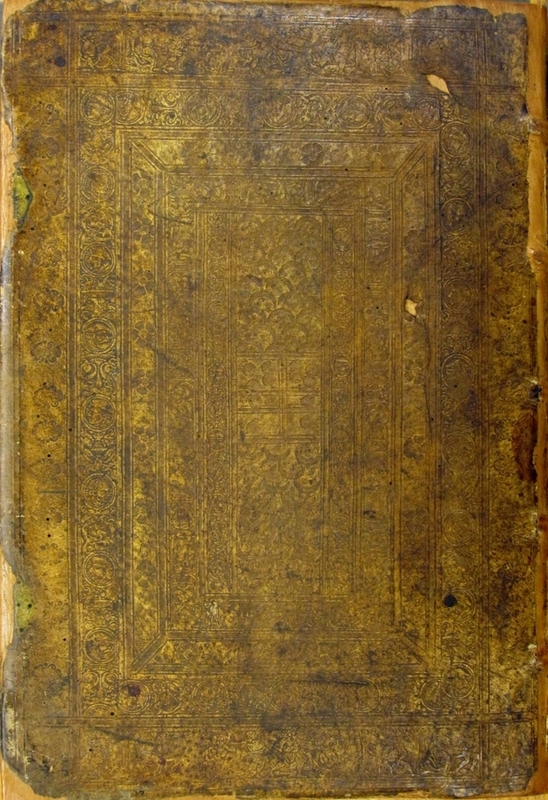 Cushing, H. Bio-bib. 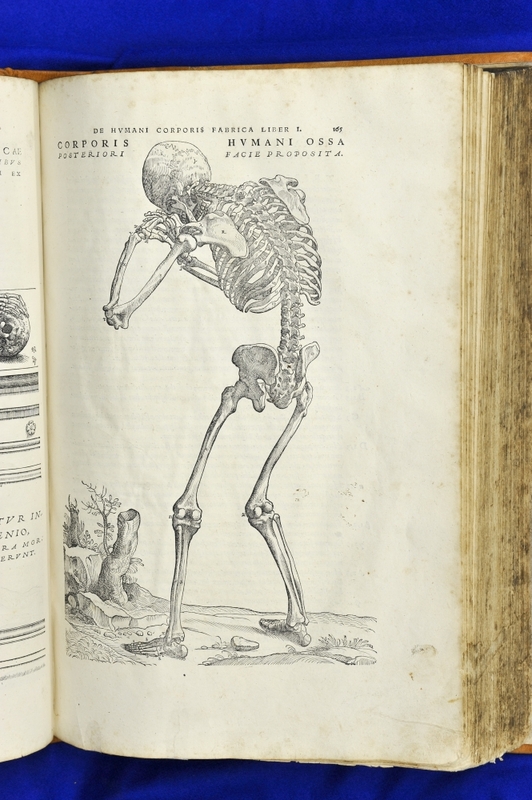 of Andreas Vesalius, VI.A.-1. 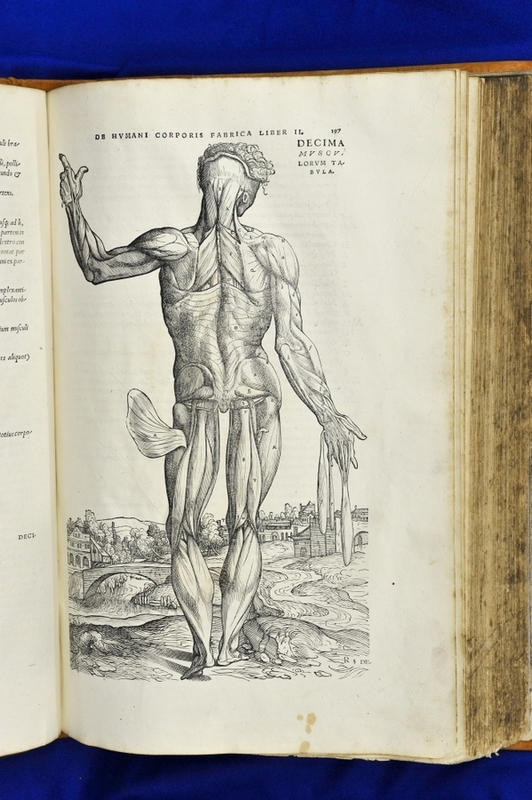 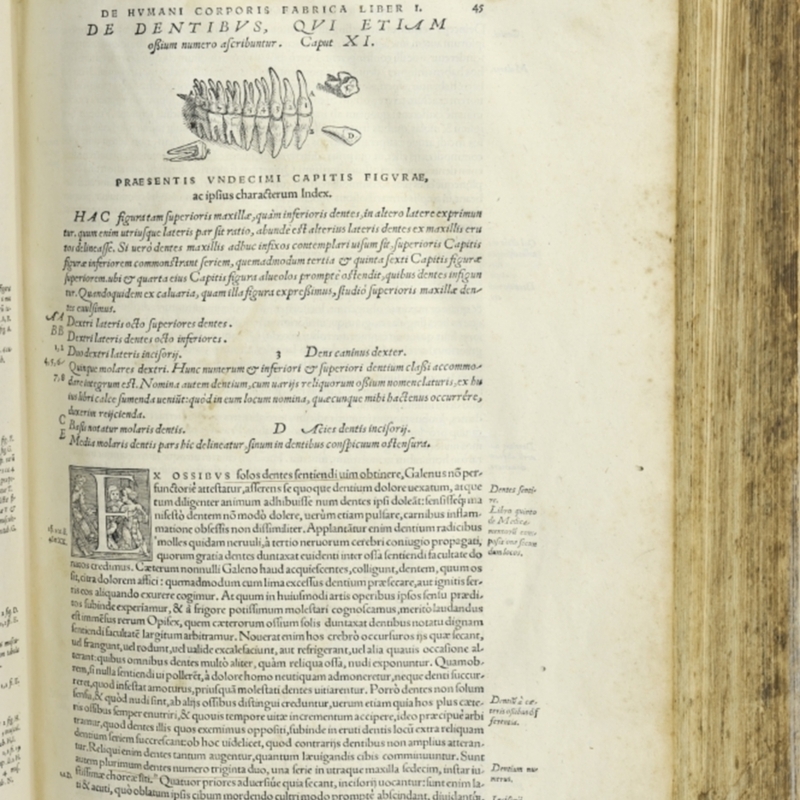 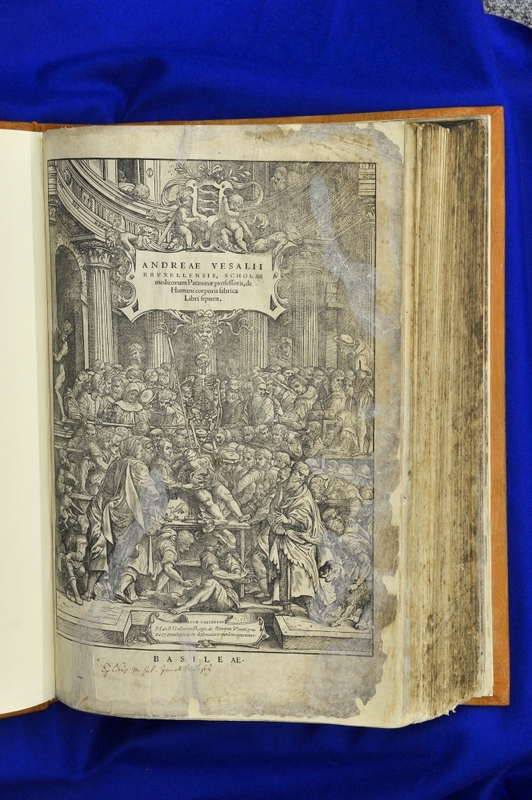 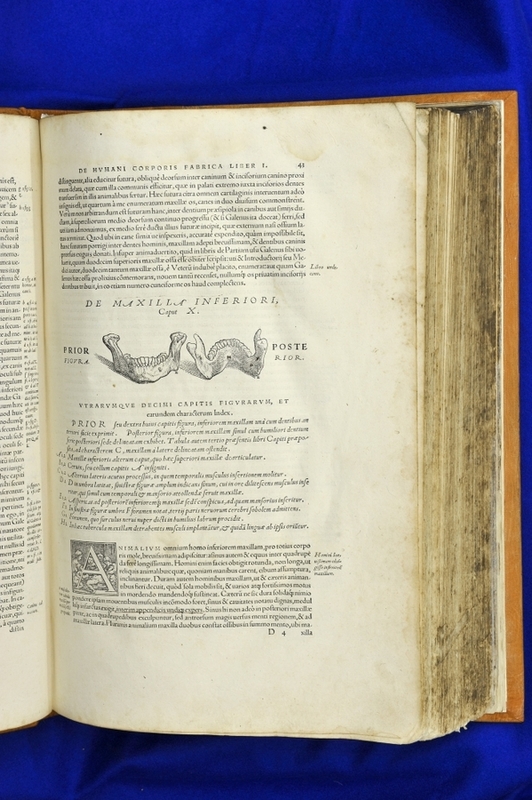 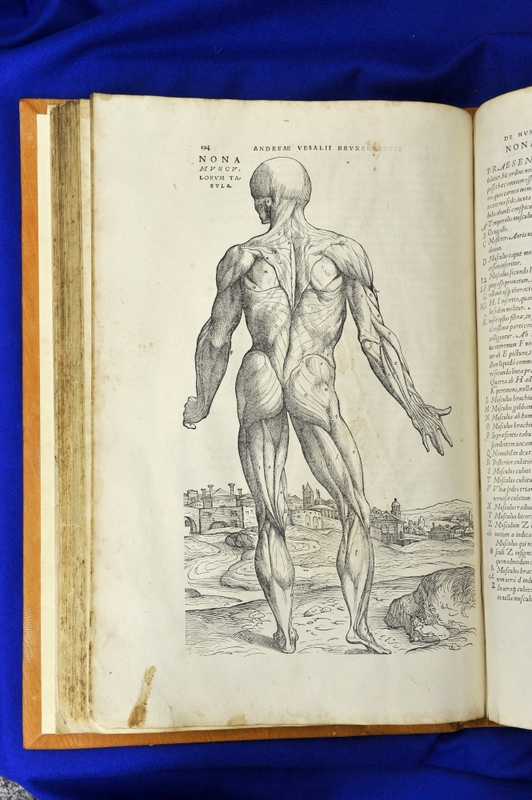 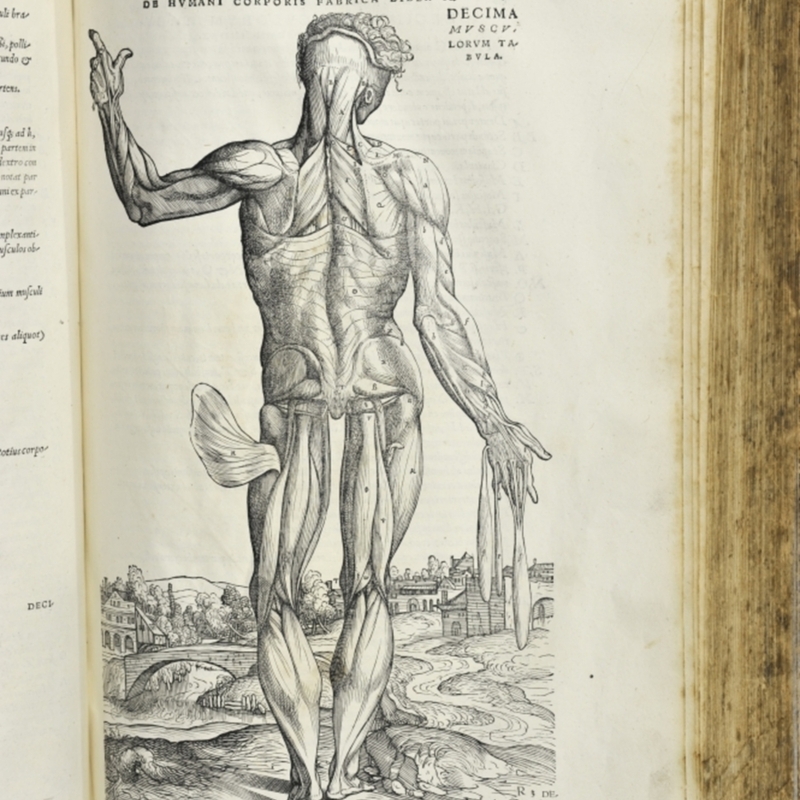 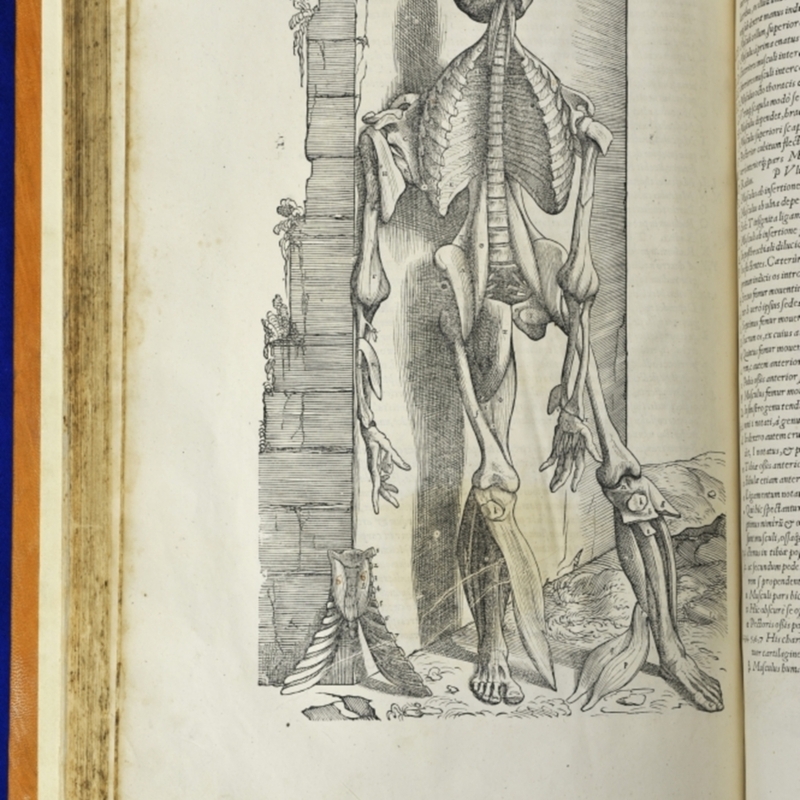 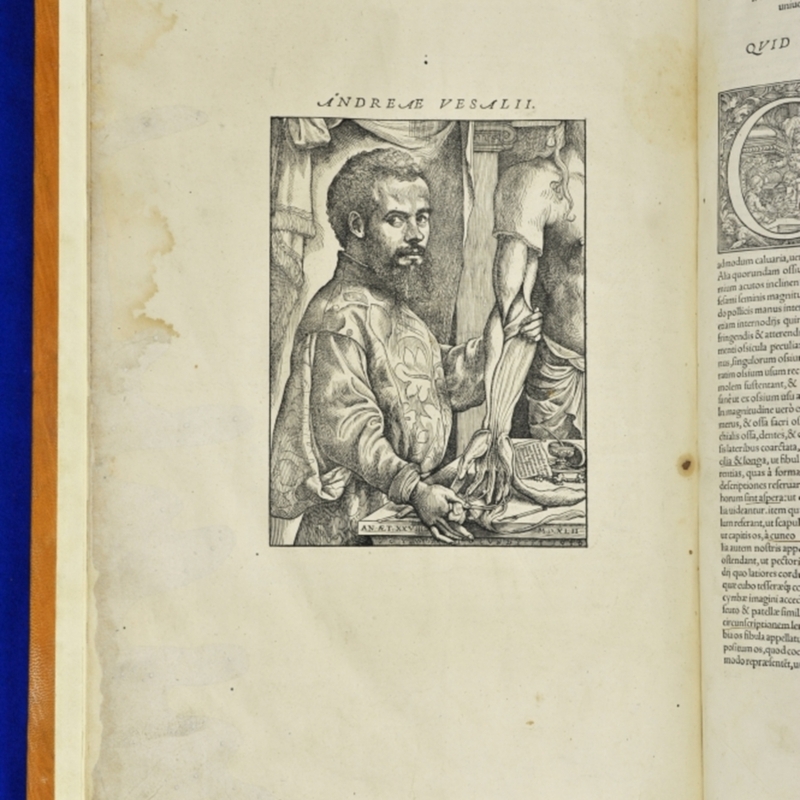 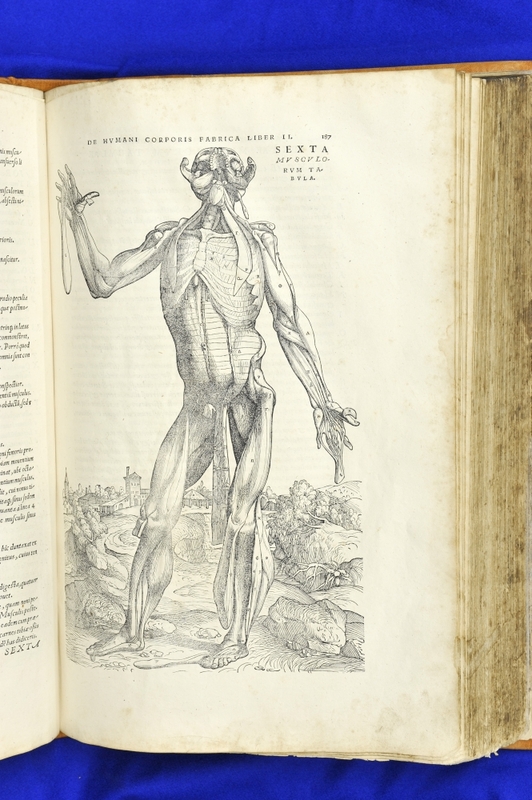 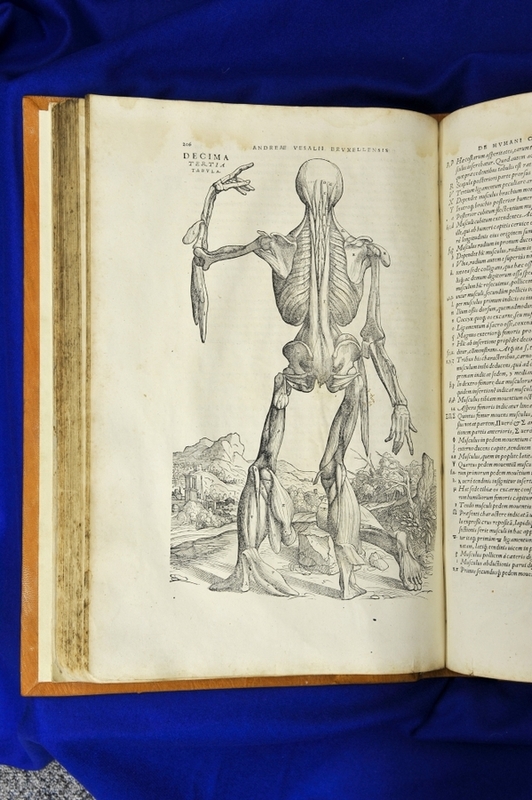 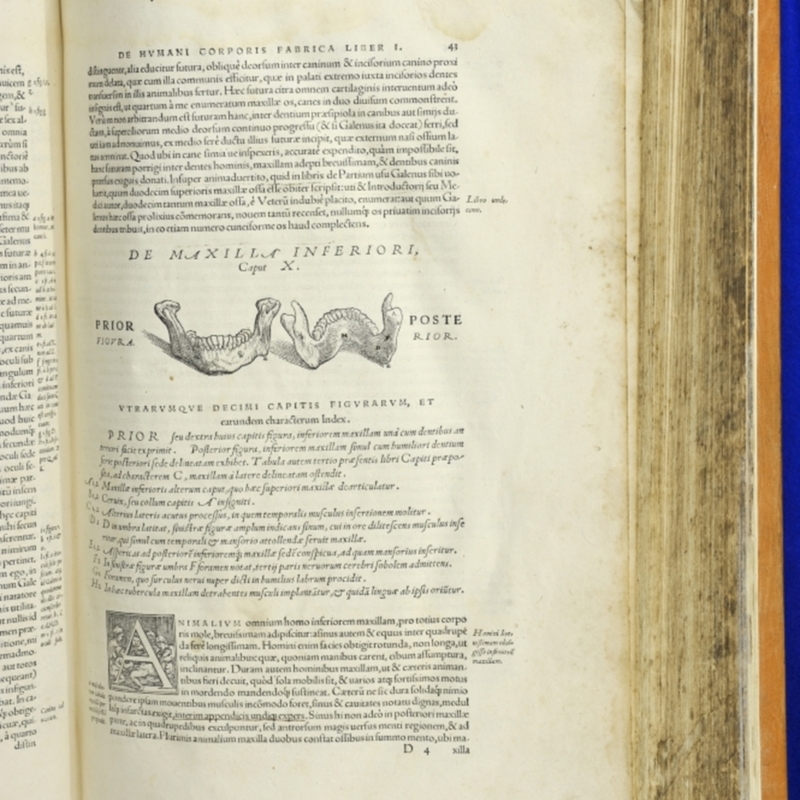 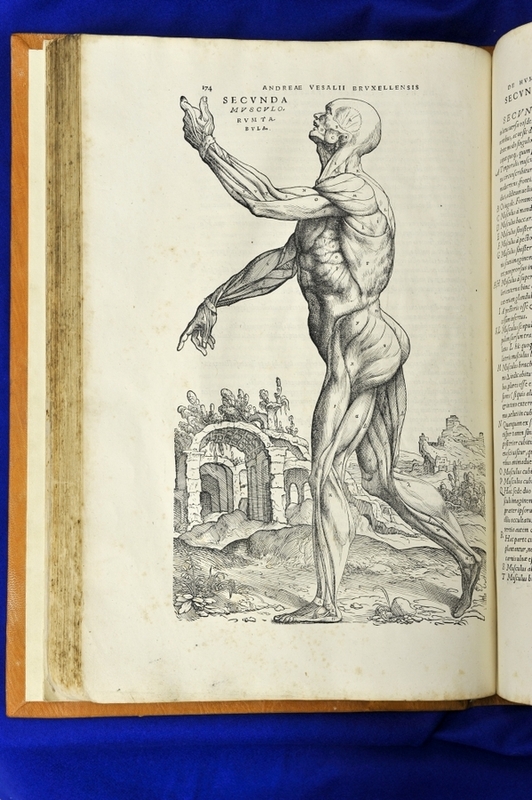 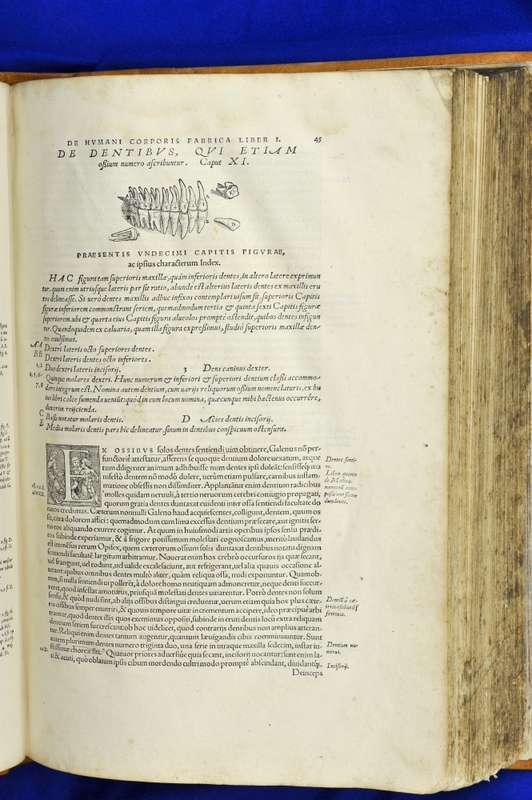 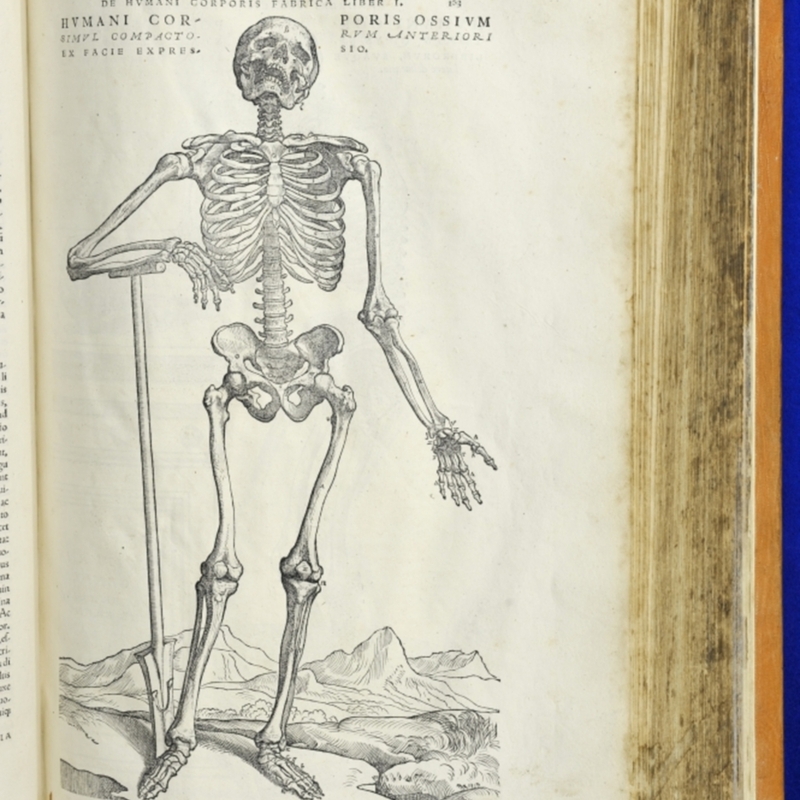 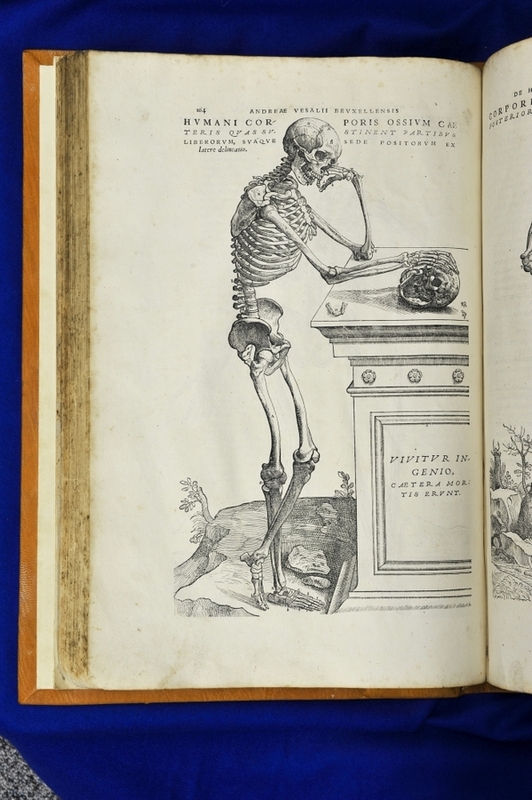 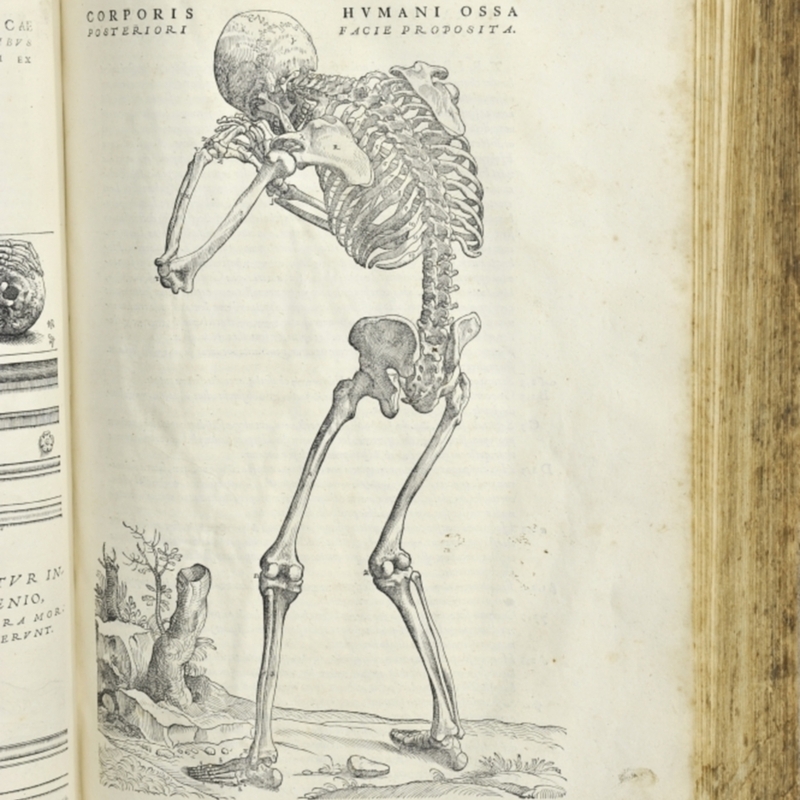 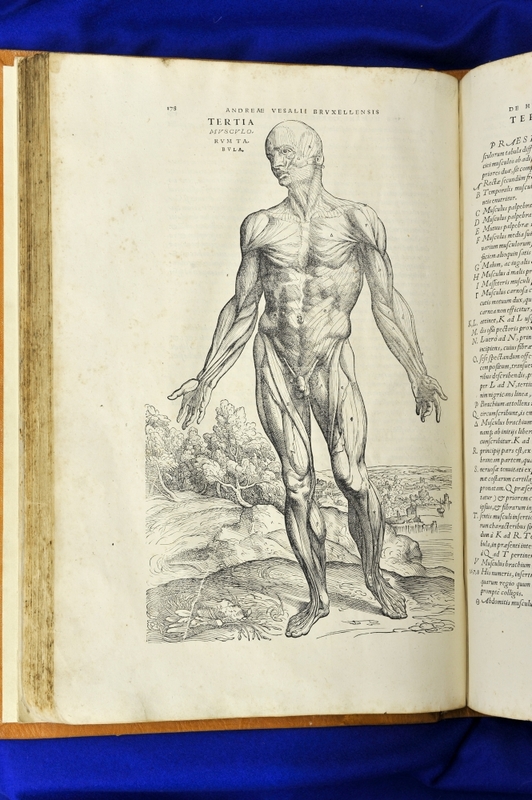 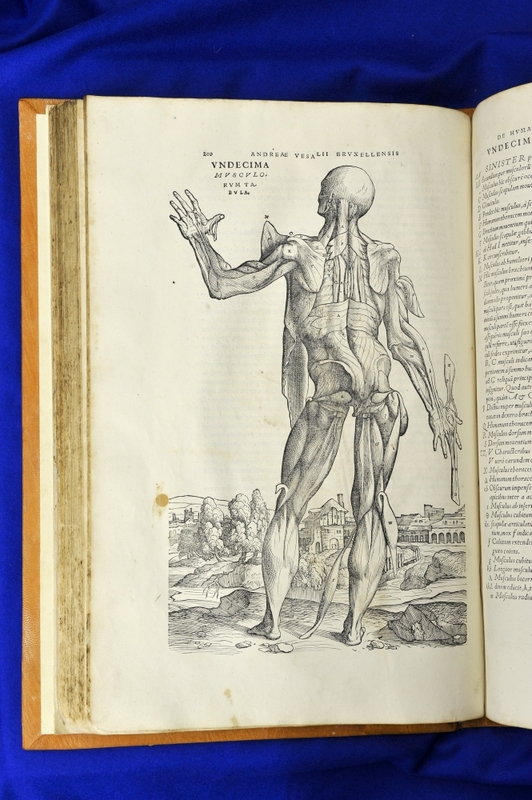 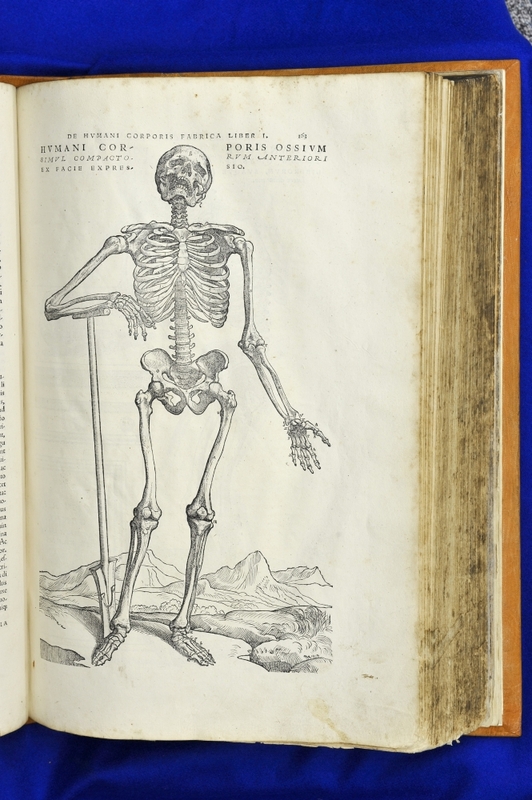 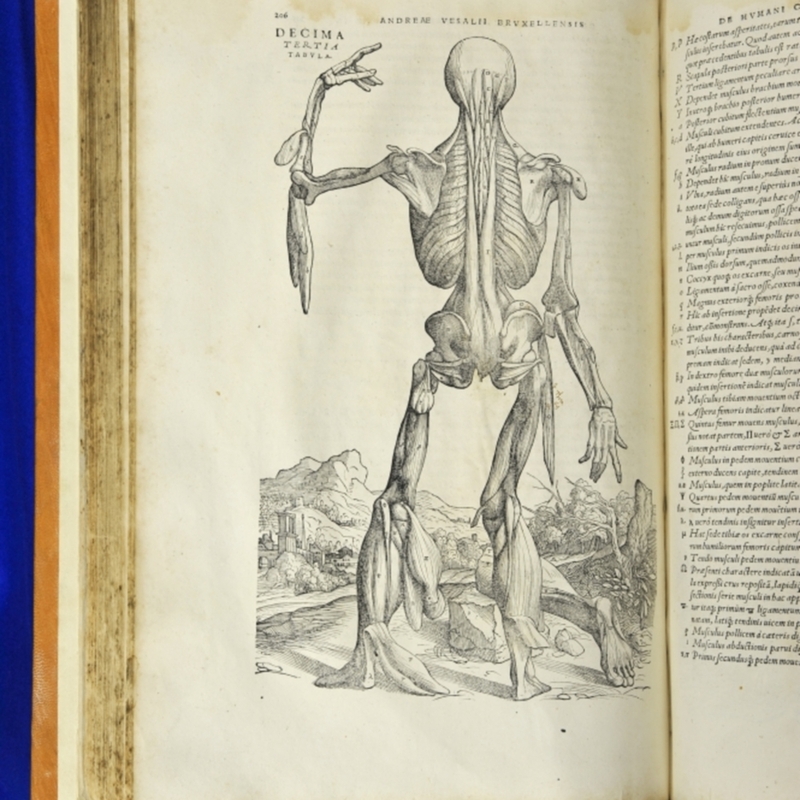 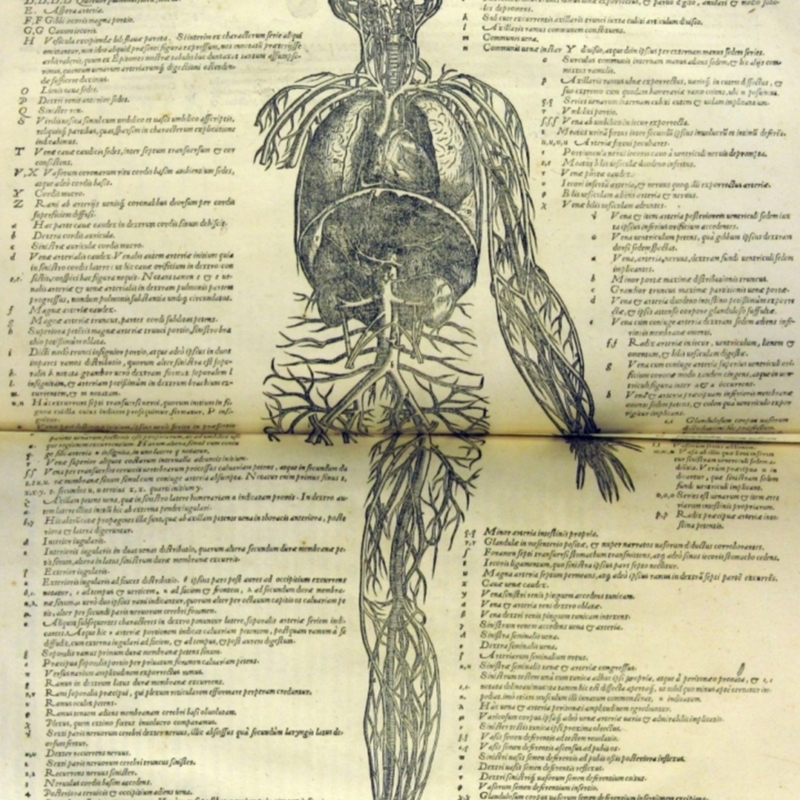 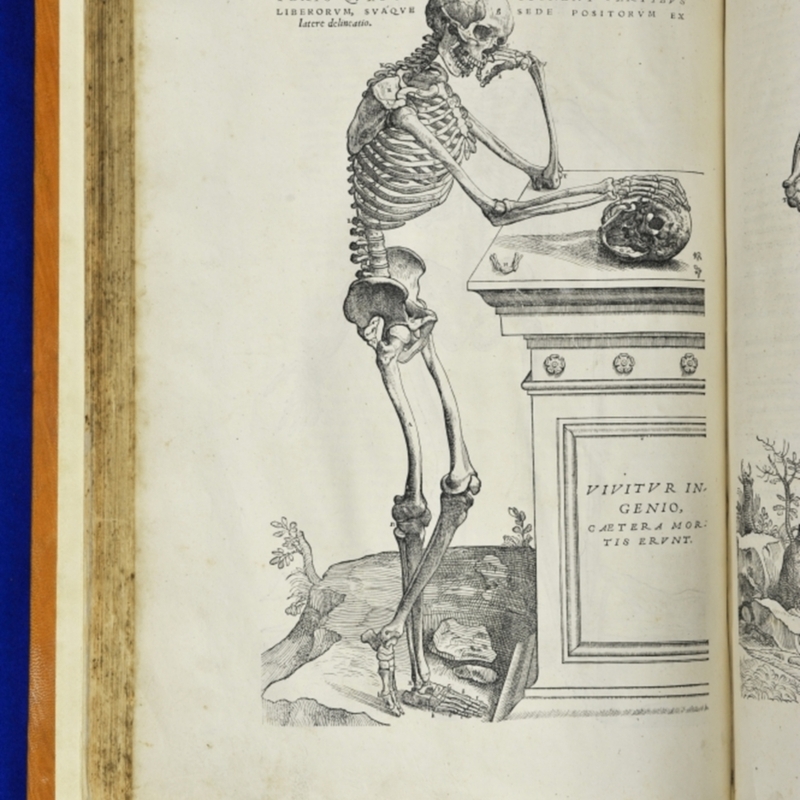 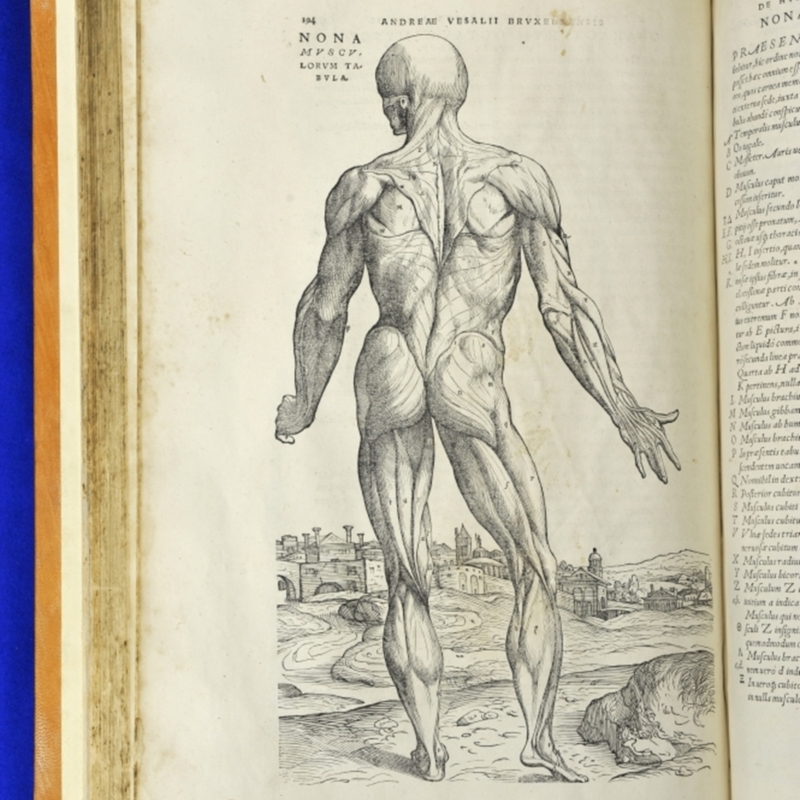 Vesalius, Andreas, 1514-1564 and Neidel, Conrad, -1568, “De Humani Corporis Fabrica Libri Septem,” Heritage, accessed April 23, 2019, https://heritage.rcpsg.ac.uk/items/show/811.